If finding the love of your life or at least a quick fling is something you are currently in search of, then you will be happy to know that iOS’s beloved Tinder app is now available for Android. 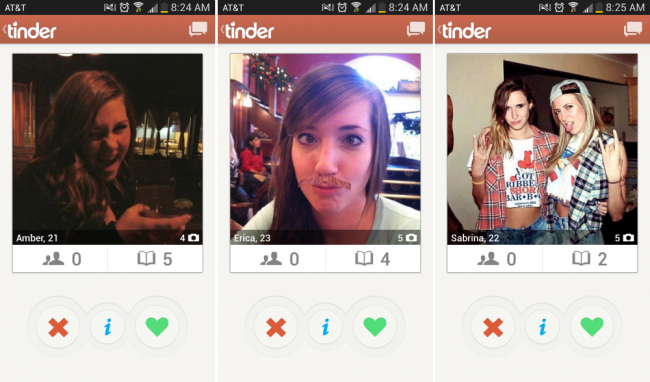 Think of Tinder as Pandora – you are given a profile complete with a picture, age and a name. From there, you can choose to like or dislike the person, much like you would on a Pandora station when going through songs. If they like you back, boom, you’re on your way to a good time. The app uses your Facebook profile, discretely, but make sure you are conscience of what you are doing on there. I would hate to see anyone embarrass themselves. And here’s a message to the ladies out there – now that Tinder is available for Android, watch out for an increase in “cheap” Android users. Wink wink.